Thinkspace Family artist, Sergio Garcia is known for his life-size and sometimes larger than life sculptures of hands and vices. 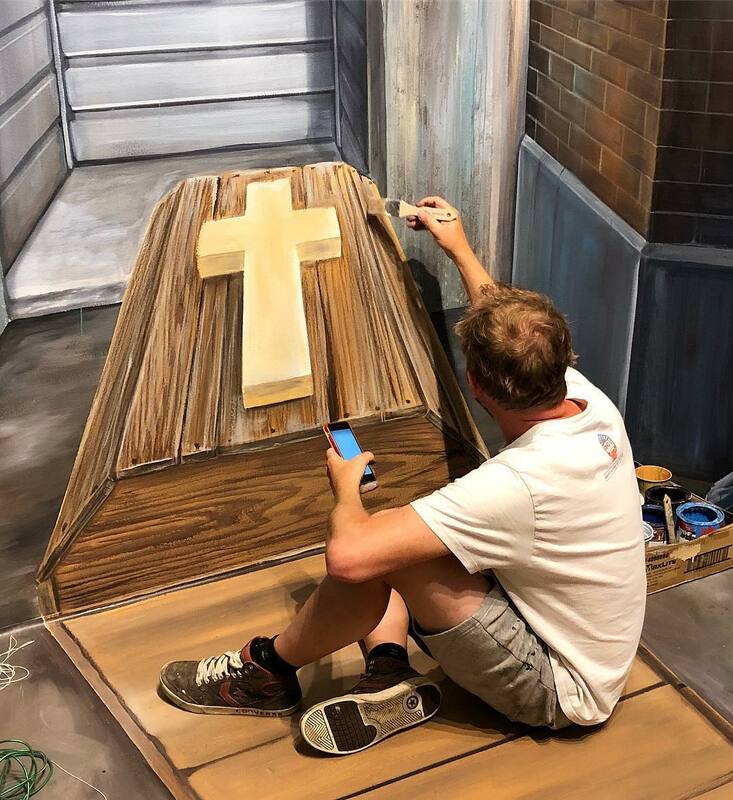 Garcia has created these idle hands portraying various scenes mostly seen outside of the white walls of the gallery space garnering attention from collectors and celebrities. 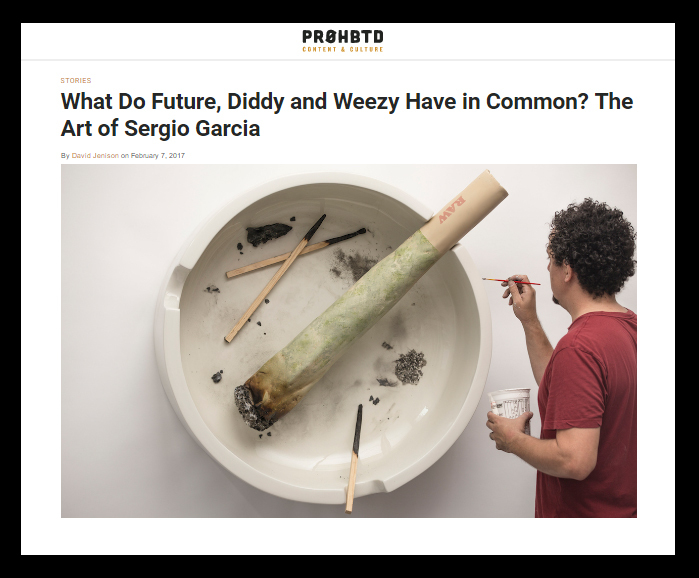 PROHBTD recently interviewed Sergio Garcia to dive deeper into his process. Currently, Sergio Garcia will be exhibiting several new pieces this weekend at The 4th Annual ‘POW! WOW! Exploring The New Contemporary Movement’. 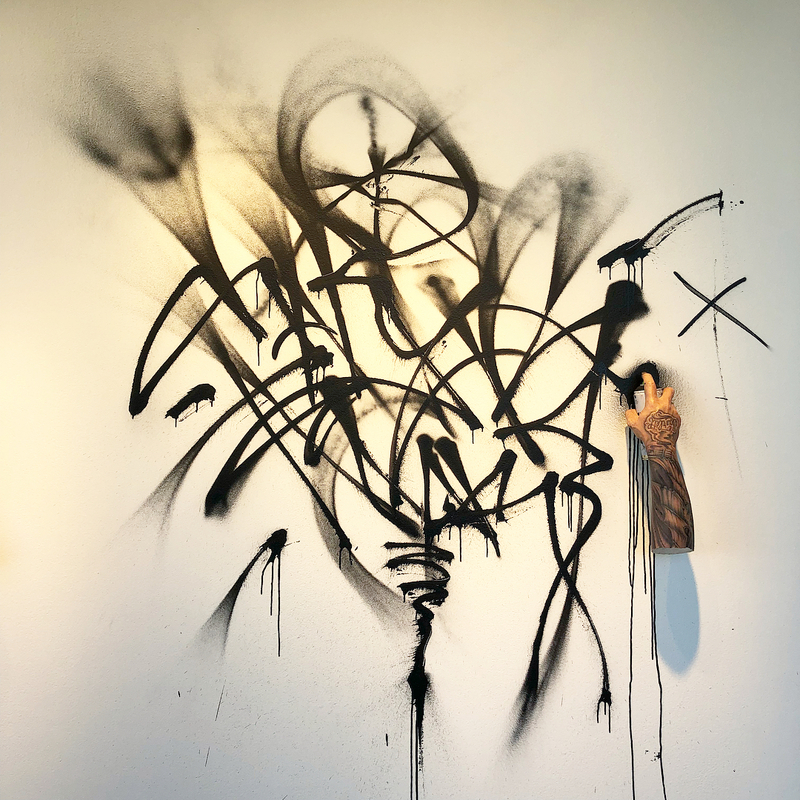 To view more of Sergio Garcia’s work visit the Thinkspace Gallery website and view PROHBTD’s full interview with the artist on their site. 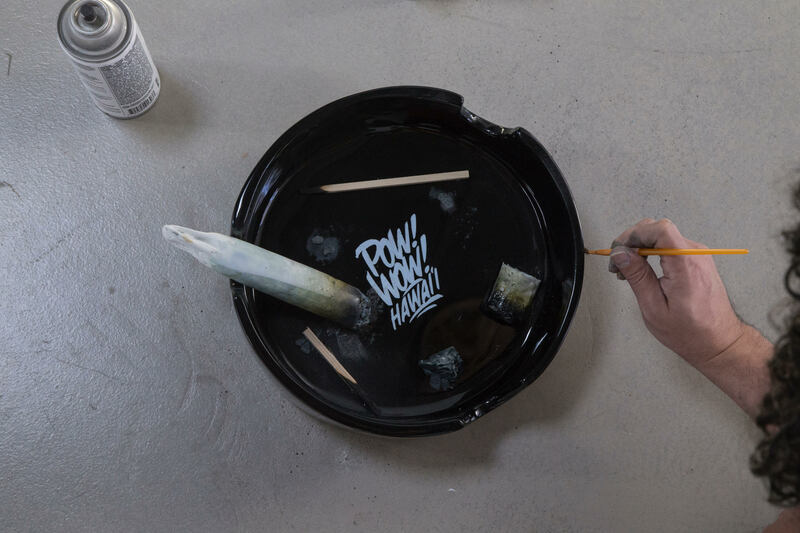 At Art Basel in Miami, you exhibited a giant ashtray with a cannabis joint that you titled A Little Conversation Piece. What is the conversation people should be having about cannabis? It’s really a conversation piece about everything in America. It’s weird how [cannabis] is legal here, not there, this county yes, maybe that county. It gets to this point where it’s like, is it taboo to smoke out in the open? Where are we on this? Where are we with anything? When I was younger, there was more middle ground. It’s gotten so extreme that common sense went out the window. Especially with Donald Trump, it’s like, what are we doing now? 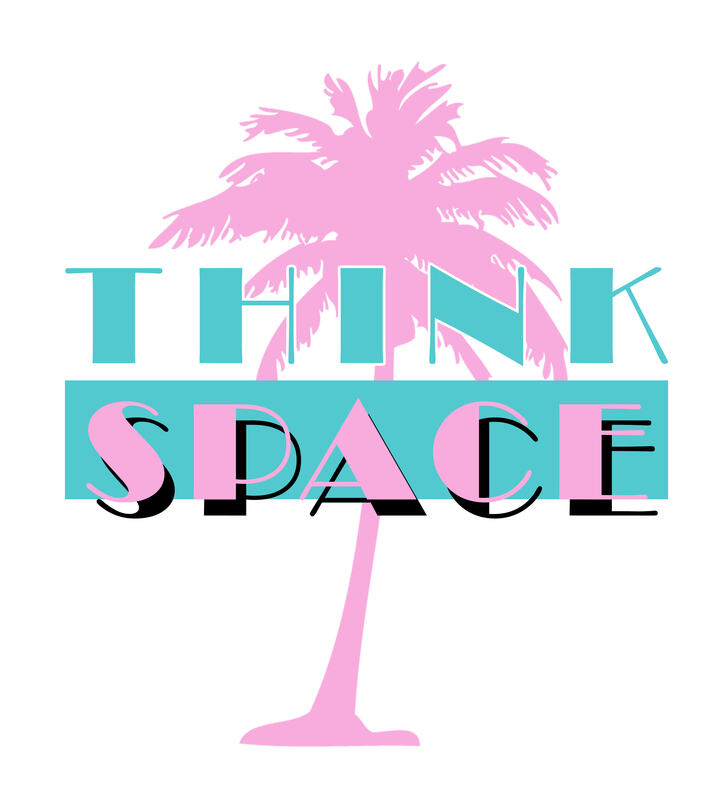 Look for Thinkspace near the fair’s main entrance at booth F05, bringing the heat with mini solo shows from Cinta Vidal and David Cooley + new bodies of work from Alex Yanes / Alexis Diaz / Brian Mashburn / Brian M. Viveros / Glennray Tutor / Jean Labourdette (aka Turf One) / Josh Keyes & Sergio Garcia + our wall of sixty 12×12 inch works from our family of internationally renowned artists. Thinkspace hosted a gallery full of art lovers for the opening night of Gumbo, Beautanica, and Contenders. 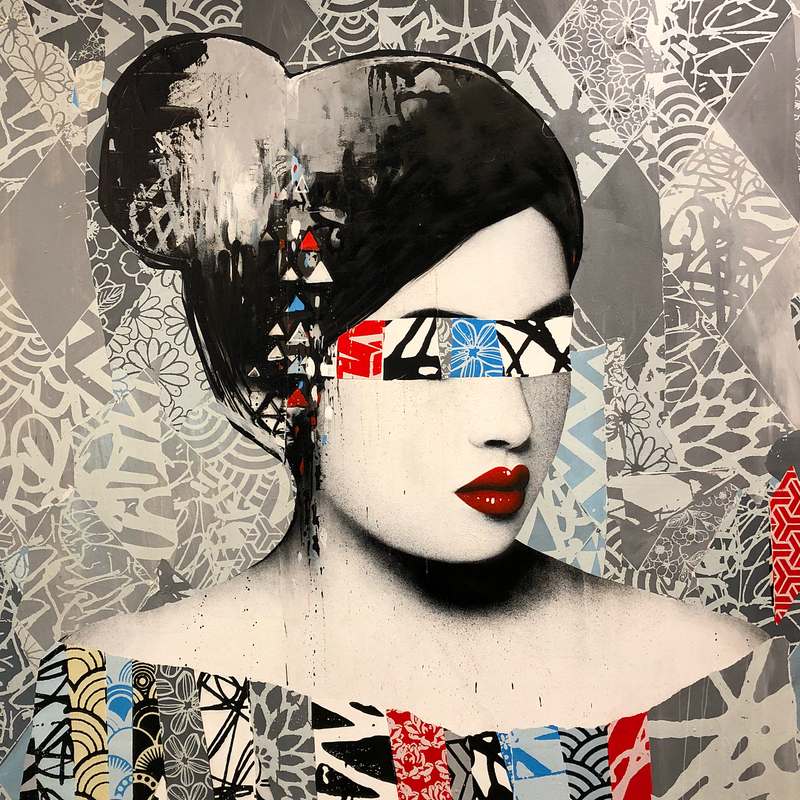 Gumbo is a group exhibition featuring works by Alex Yanes, James Bullough, Matthew Grabelsky, Ryan Hewett, Sergio Garcia, Troy Coulterman and Troy Lovegates. A diverse group of artists that reflect the diversity of our steadily expanding gallery roster. It’s a fantastic exhibition showing various styles, from sculpture to figurative abstract portraiture. Australian artist Bec Winnel exhibited her new work in our project room, featuring ethereal beauties who mesmerized guests. Forcing collectors to stare on, torn between which pieces to purchase. And sold out before doors opened, Brian Mashburn’s new work for ‘Contender’ is a captivating teaser for his upcoming show in July. You can view all the photos from the opening night on Flickr or Facebook. The exhibitions are on view from April 25 through May 16 during gallery hours. A short but sweet interview with Sergio Garcia for his upcoming show ‘GUMBO’ at Thinkspace Gallery. ‘GUMBO’ will be featuring new pieces from seven Thinkspace artists who all bring a different style, voice, and flavor to their art. ‘GUMBO’ opens Saturday April 25th from 6-9pm, and will be on view till May 16th. SH: What artist in the upcoming ‘Gumbo’ show would you want to collaborate with and why? SG: This Question is crazy! Ha! Not trying to sound to cliché or Miss America style. Everyone is rad and so diverse it would really depend on what we were trying to achieve with the project or collaboration. SH: When do you get the most work done; morning, noon, or night? SG: I get the most work done around noon time. Nighttime I do a lot of prep work and research. I’m pretty much 24/7 but around noon is when I’m completely in the zone. SH: In three words, describe your artwork. SH: How long does it take you to finish a piece? What is your processes? SG: It depends on the piece but generally a week or two. I bounce around a lot and sometimes I assembly line them. So it may take a month to produce a few. I do a few different types of processes. I enjoy welding metal. I’ve recently gotten into glass blowing. Some of my sculptures involve shiny automotive paint and others flat oil based. I think it helps me feel more free when I do different mediums. I’m constantly thinking of what’s next or how is this going to be possible. It’s like being in a band. You’re glad the Album finally came out but you’re working on the next one in your head. SH: Do you remember the first time you showed your work to the public? Where was it? SG: Yes for sure. I was completely terrified. I still am to an extent. SH: Do you have any wise words for a fledgling artist who admires your work? SG: Be yourself. Don’t try to impress everyone. You’ll know when you found “it” and it’s ok to reinvent yourself. Think of art as communication. It’s great if they admire, but you want them to feel it. SH Bonus Question: Speaking of gumbo, have you ever been to New Orleans? If so, tell us a tale! If not, tell us another tale. SG: My wife does Burlesque so I go to New Orleans every once and a while. I remember one time a guy was giving a ghost tour to some tourist. He almost sounded like he was rapping. So I started beat boxing out loud as I was walking by. He immediately went into Beastie Boys Paul Revere. Then a large crowd walking by screamed “We took an empty spot next to him at the bar”. It was pretty classic.